Four ingredients to take you to zingy heaven! 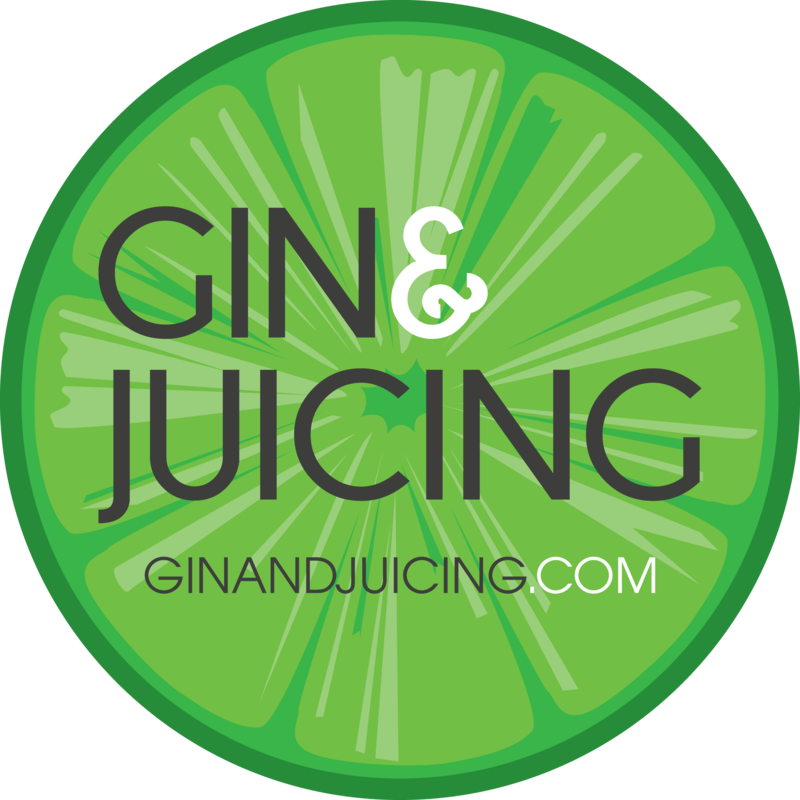 Fancy a little gulp of citrus sunshine? Course you do! 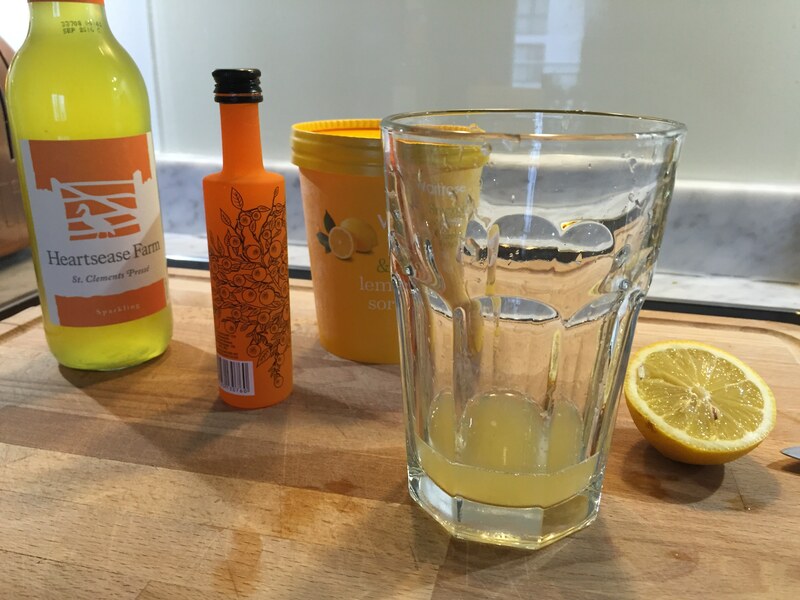 This is a cheeky little drink that matches perfectly with brunch and will be excellent in the warmer months with a BBQ. 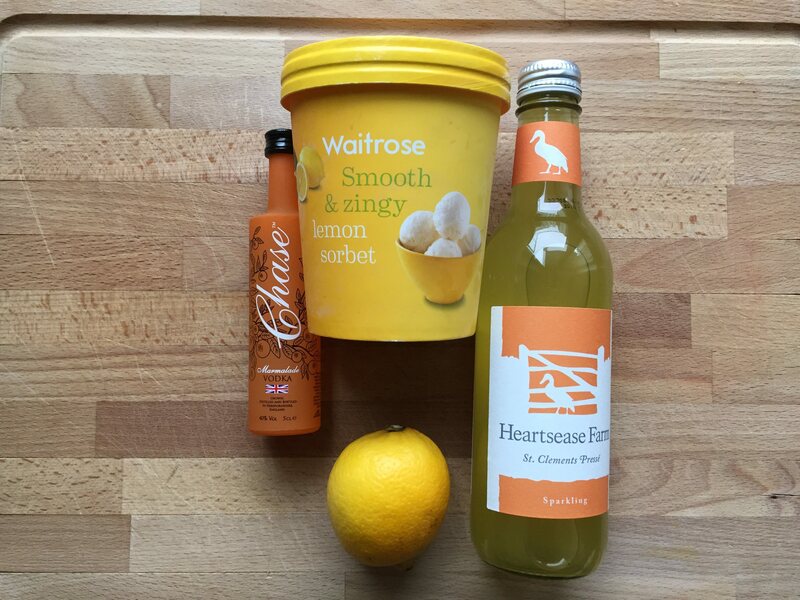 I’ve used the delicious Heartsease Farms St Clements pressé as the base, to make the most of the orange, zingy citrus. 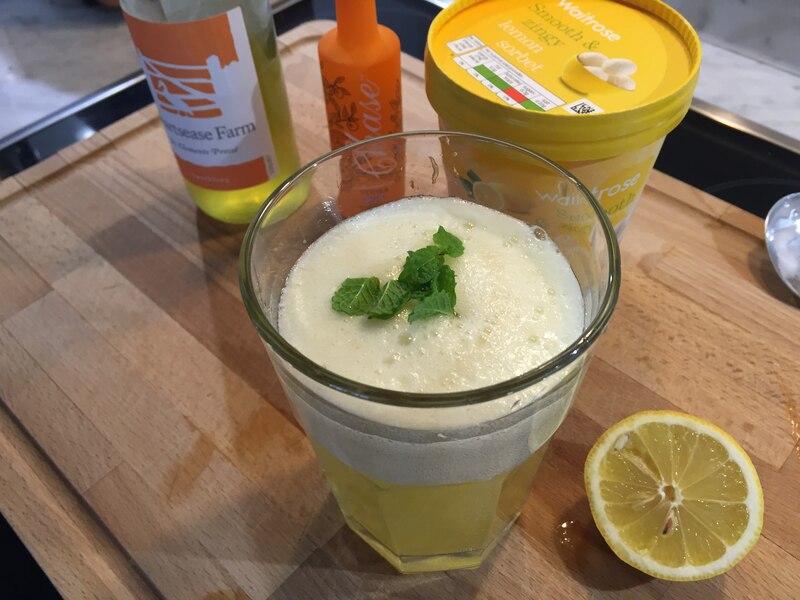 Coupled with lemon sorbet and freshly squeezed lemon, you have a tangy, foamy little treat! Lemon and marmalade vodka, mixed! 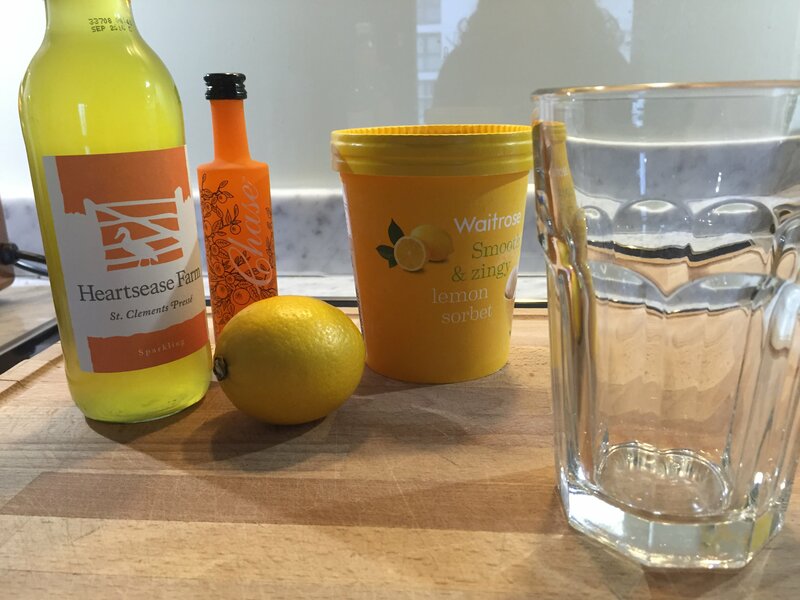 Squeeze the juice of half a lemon into your serving glass and mix well with the Marmalade vodka. 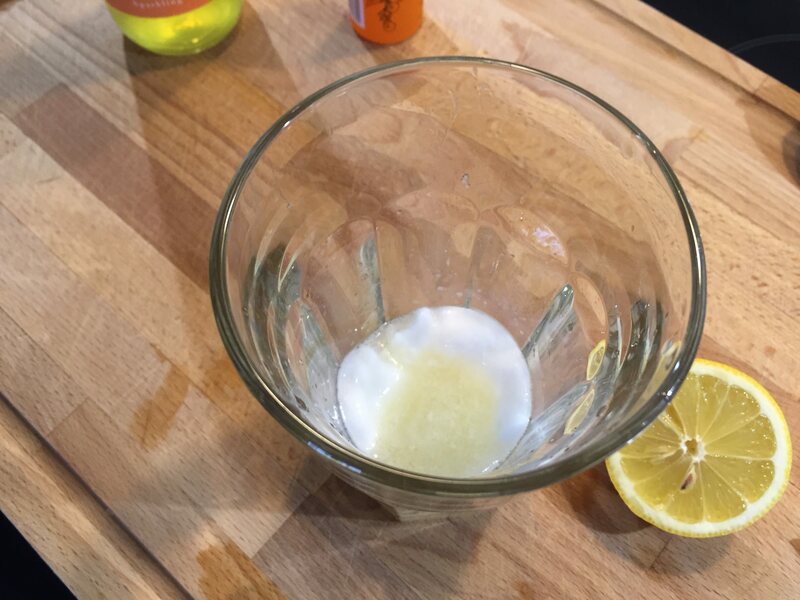 Add the scoop of the lemon sorbet into your vodka/lemon mix and agitate so it becomes foamy. 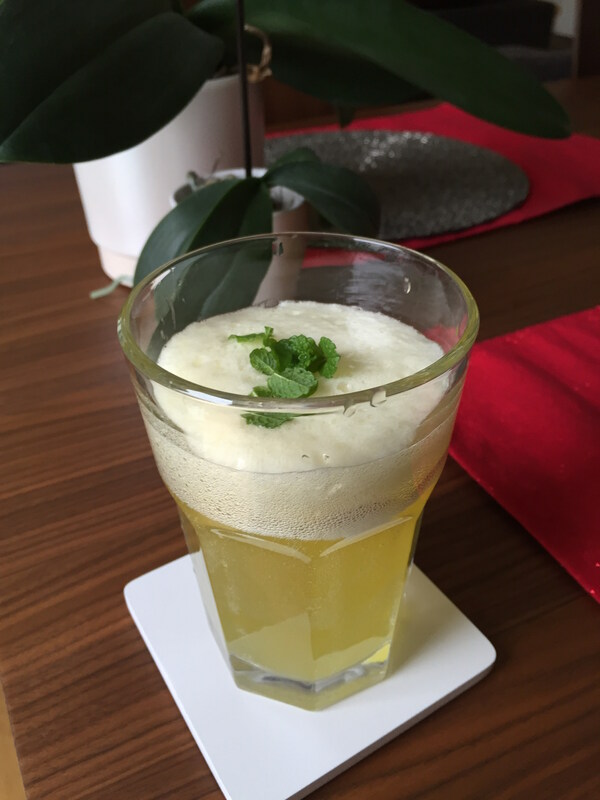 Top with the St Clements Pressé and some freshly picked mint leaves and there you have it! Oranges and lemons say the bells of St Clements! Bottoms up!